Q. What will the first small scientific satellite be like? The first small scientific satellite, SPRINT-A, will observe the atmosphere of Venus, Mars and Jupiter in extreme ultraviolet (EUV) from Earth orbit, at an altitude of about 1,000 kilometers. EUV is a range of light suitable for observing planetary atmosphere, but EUV radiation coming from space is absorbed by the Earth’s atmosphere, so it is not observable from the ground. Hence the observation has to happen in space. Very little outer space observation with EUV has been done, so scientists are expecting new discoveries that no one has ever imagined before. The tangible objective of this mission is to explain the mechanism of the outflow of planetary atmosphere. Like the Earth’s, the upper atmosphere of planets such as Mars and Venus is stripped away by the solar wind and flows out into outer space. By observing this phenomenon, we will investigate how the solar wind affects the upper atmosphere of planets, and how the planetary atmosphere escapes into outer space. Eventually, we hope to identify the conditions that allow a planet to hold onto its atmosphere. This will help us understand how the Earth holds onto air, which is essential for life, and how its atmosphere is sustained. We will also study the plasma outflow from the Jupiter satellite Io, to try to understand how plasma energy is supplied to Io’s upper atmosphere. These will deepen our understanding of the diversity of planetary environments. Q. What is the development status of SPRINT-A? And what are the plans for subsequent satellites? 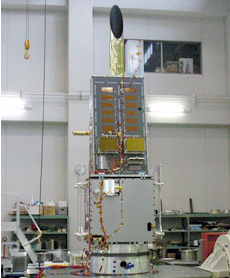 The launch of the first small scientific satellite is planned for 2013, and we are now conducting tests with a mechanical test model and a thermal test model. In these tests, we examine whether the mechanical design of the onboard electronics can withstand the impact, shaking and heat during launch. After these tests are done, it will finally be time to build a flight model. 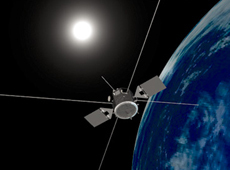 This is the first time we’ll be developing a satellite using the international SpaceWire standard. Introducing SpaceWire and at the same time maintainting an efficient development process has been a new technical challenge for us. As far as the second small scientific satellite goes, we have multiple candidates. 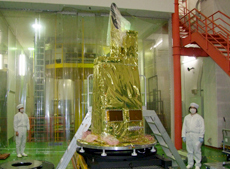 One is ERG - Energization and Radiation in Geospace - which will observe magnetic fields in geospace. This one will be spun its on its axis to stabilize its attitude, whereas SPRINT-A needs sophisticated orbit correction to observe its target planets, so it applies three-axis attitude control, where the three axes (longitudinal, latitudinal and vertical) are stabilized individually. If we can apply these two completely different attitude control methods within the same series, it will have a great impact on satellite science. Q. What are your hopes for the future of small scientific satellites?I hope that small scientific satellites will be used not only for science but for other types of missions as well. Our goal is to build ”semi-made-to-order” satellites to cover various needs, so we would like to see their use expanded beyond science, to commercial applications. For example, we are conducing joint research with ASNARO (Advanced Satellite with New system ARchitecture for Observation), on a satellite that will be launched by USEF (Institute for Unmanned Space Experiment Free Flyer), which is run under the supervision of the Ministry of Economy, Trade and Industry. ASNARO is led by the ministry, and is the first step in a large-scale program that includes plans for the export of artificial satellites in the future. For the basic mechanics, we will apply the same technology used for JAXA’s small scientific satellites. At this very moment, we are conducting a development test together. Q. Were you interested in space as a child? What made you aspire to space research? I was not the type of child who was interested in the starry sky or in space. When I watched space cartoons on TV, I was dreaming of building the robot or the hero’s spaceship, rather than yearning to be the hero myself. What made me aspire to conduct space-related research was the launch of the first Space Shuttle, which I saw on TV as a child. That’s when it all started - I had the vague desire to build a space rocket like the Space Shuttle. Interestingly, I didn’t think about going to space on the Space Shuttle, just about building it. Q. What kind of mission are you personally interested in conducting with a small scientific satellite?My interest is in controlling the attitude of rockets and satellites, and I have been involved in the development of control systems for scientific satellites - for example, the engine of the Venus climate orbiter Akatsuki, and the target markers for the asteroid explorer Hayabusa. A target marker is the device that was dropped on the asteroid Itokawa to act as a lighthouse for Hayabusa’s landing. As an expert in control engineering, I would love to conduct a test with a small scientific satellite to verify the technology for landing on the Moon. Q. What is your ambition now? I would like people to feel closer to the cosmos. I remember being so thrilled watching the Space Shuttle taking off on TV as a child. I thought I might be able to go to space someday, too. It may be difficult to go to space, but I would like to create an environment where children are excited and dream about space missions. In that sense, I have the impression that the return of the asteroid explorer Hayabusa has encouraged people to learn more about space. But I don’t want this to be a temporary phenomenon. 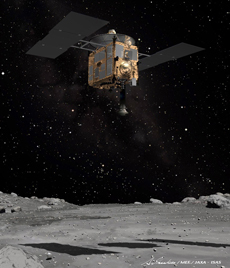 With Hayabusa as a springboard, I would like to keep doing my best to deliver the beauty and excitement of science to as many people as possible. Dr. Sawai received his doctorate in 1994 from the Department of Aeronautics and Astronautics at the University of Tokyo, and then became an assistant researcher at JAXA. He was a visiting fellow at the Department of Aerospace Engineering at the University of Michigan in 1999-2000. In 2003, he served as an assistant professor at the Department of Space Systems at ISAS, and as a principal investigator at the JAXA Institute of Aerospace Technology. 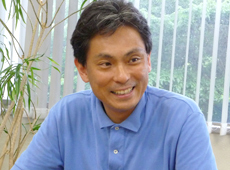 In 2004, he became an assistant professor at ISAS/JAXA, and was appointed to his current position in 2009. He specializes in control engineering.